When she moves to Amish country to find peace and healing, Madeleine finds a special community--and a special man--who pull her out of her solitude and into a new life.Moving to Pennsylvania wasn't in Madeleine's original plans. She should still be in California and should have married her pilot fiance a year ago--but death has a way of changing everything. Now the former Air Force flight nurse is living alone in Paradise, Pennsylvania, and working as a maid at the Lancaster Grand Hotel. She isn't exactly a widow . . . but she sure feels like one.Saul Beiler isn't exactly a widower . . . but his wife is long gone. His eleven-year-old daughter, Emma, doesn't know that her mother fled the Amish community--and married another man--but she does know that her dat is lonely, and that a pretty young maedel just moved in next door. Madeleine's numb heart begins to thaw as she spends more time with the innocent and ever optimistic Emma. The stronger her friendship grows with the young girl, the more intrigued Madeleine grows about the humble, strong man raising her on his own.But even as a strange attraction pulls Saul and Madeleine across a stark cultural divide, they--and everybody around them--have to wonder: What could they possibly have in common besides heartache? Will love allow Madeleine to finally find the home she's been dreaming of all along? 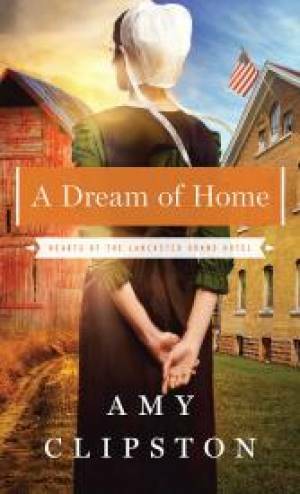 A Dream of Home by Amy Clipston was published by Zondervan in September 2016 and is our 50204th best seller. The ISBN for A Dream of Home is 9780718080006. Be the first to review A Dream of Home! Got a question? No problem! Just click here to ask us about A Dream of Home.